Ultimate Fighting Championship (UFC) returned to action for UFC Fight Night 111: “Holm vs. Correia,” which went down yesterday (Sat., June 17, 2017) inside Singapore Indoor Stadium in Kallang, Singapore, airing live on UFC Fight Pass. The promotion’s latest mixed martial arts (MMA) card was headlined by a women’s Bantamweight fight that saw Holly Holm defeat Bethe Correia via knockout in the third round (see it). Also, Marcin Tybura picked up the biggest win of his career by outlasting Andrei Arlovski in the co-headlining act (recap). 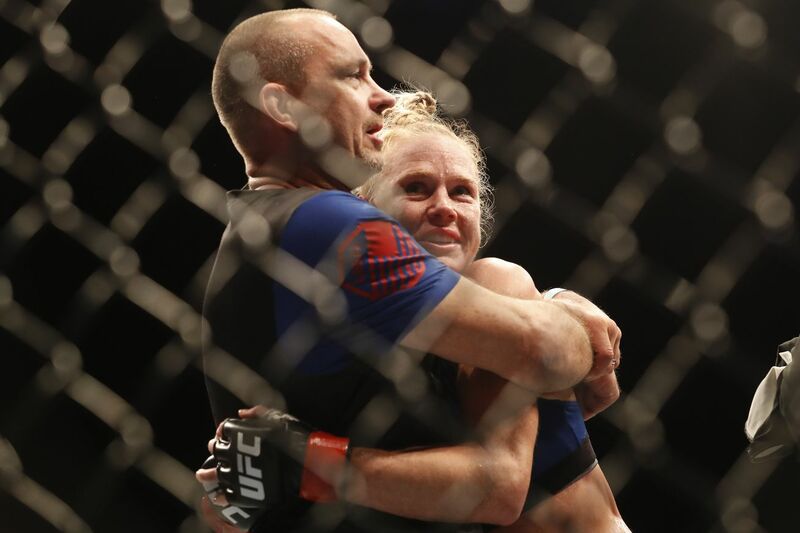 Holm needed a win in the worst way after losing three in a row. And she got just that after stunning Correia in the third round of their scheduled five-round fight, knocking the Brazilian out with a sneaky high kick, which was followed up by a punch to the kisser as “Pitbull” was trying to figure out how she ended up on the floor. Indeed, the win for “The Preacher’s Daughter” was huge, as it not only ended her skid, but, put her back on the fast track to a chance to reclaim her title, according to this. Now, while Holm won’t get a title shot right away, it wouldn’t be too farfetched to see her back at the big dance after another huge win. And now that the Featherweight division has a couple of new heavy-hitters fighting for the strap, Holm could have her pick of where to fight next. “RDA” got back on the winning track after losing two straight at Lightweight, making good in his Welterweight debut by taking out Tarec Saffiedine. Now, the former 155-pound champion can breath a bit easier, knowing the pressure is off to get a “W.” But, things will only get tougher for Rafael, as the 170-pound weight class is filled with sharks that can potentially persuade him to re-think his move up a division. But, for know, dos Anjos is sitting pretty in his new weight class. Covington picked up the biggest win of his combat career by taking out longtime UFC veteran Dong Hyun Kim to score consecutive win number four (recap). Colby will now likely find himself in the top 15 ranking, which means he can now get used to facing only the best moving forward. And he won’t have too much trouble trying to find opponents moving forward. It’s what he wanted, and he’s shown he’s more than game, but whether or not he can hand with the top-ranked fighters in the division, remains to be seen. Arlovski has now dropped five in a row after coming up on the judges’ scorecards against Marcin Tybura. It’s not a good run for the former Heavyweight champ, who could fin himself on the outs with the promotion, despite being a personal favorite of company president Dana White. But now the UFC is under new management, I would be surprised if “The Pitbull” gets another fight inside the Octagon. And who know,s maybe Arlovski himself will decide it’s best to move on form this part of his life before it gets that far.